It’s been a big year for Eloqua users. The main interface has had a facelift, apps have been expanded, new steps have been added to the campaign canvas and the program canvas has arrived. Well, unlike Oracle we don’t have to share a Safe Harbour Statement, however we can only share what we’ve heard on the rumour mill and seen with our own eyes! From discussions we’ve had with the Oracle Marketing Cloud team, 2017 is shaping up to be pretty exciting for Eloqua users with some major enhancement to Insight, the reporting module and to the Email and Landing Page Editors. 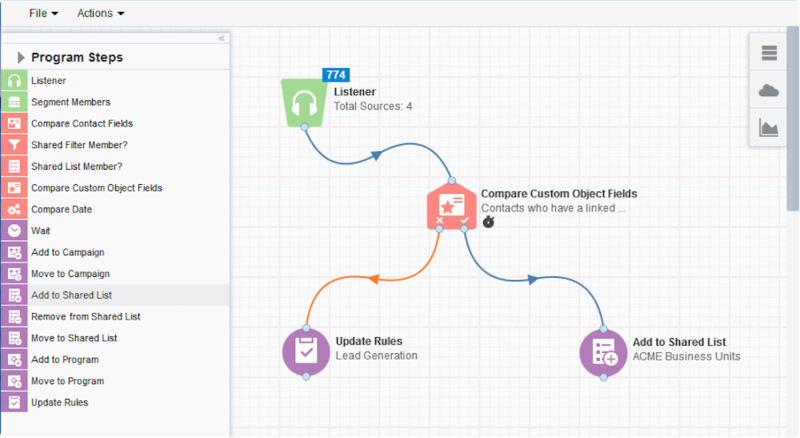 Important: This feature is currently released under Oracle Marketing Cloud's Controlled Availability program. To request access to this feature, please CLICK HERE to log in to My Oracle Support and create a service request. Campaign Analysis: Provides a comprehensive overview of campaign activity and performance for all campaigns grouped by campaign type. This dashboard uses metrics such as outbound and inbound activity as well as response rates so that you can easily compare the performance of campaigns. Campaign Detail: Provides a detailed view of activity and performance metrics for a specific campaign. 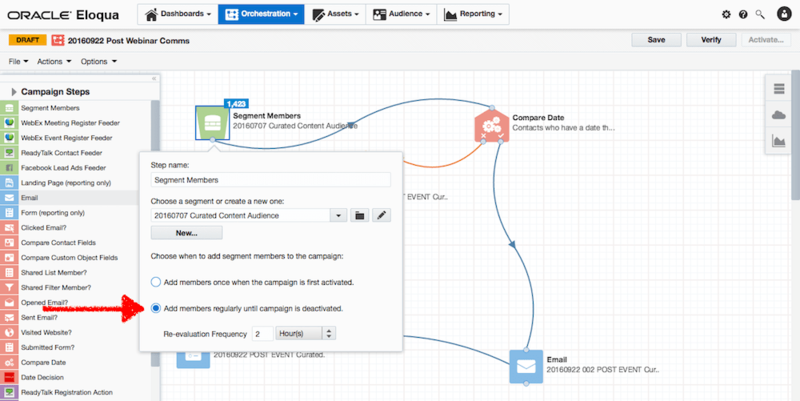 The dashboard is organized by the campaign’s assets that have outbound or inbound activity. 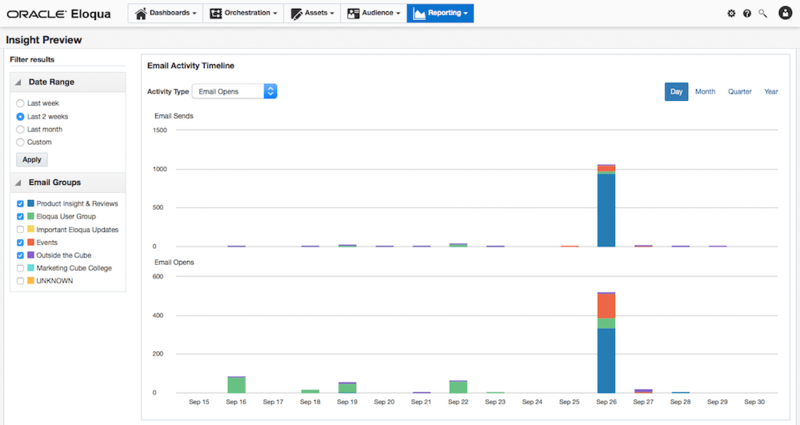 Email Analysis: Provides a comprehensive overview of the performance of emails sent within the specified time frame. 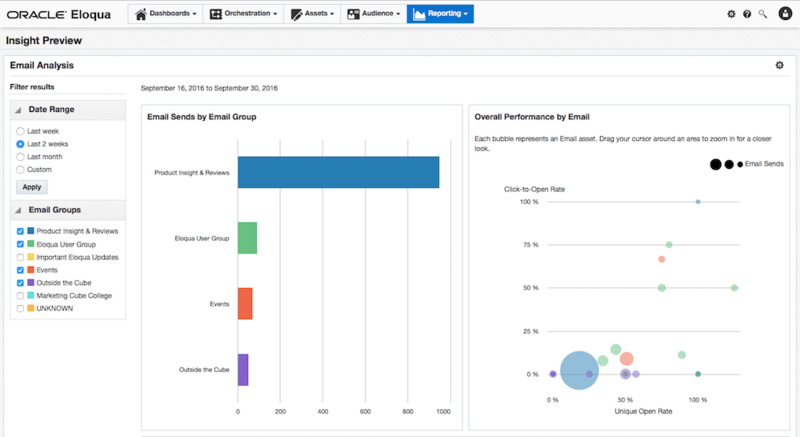 The dashboard uses metrics such as email opens, clickthroughs, form submissions, and more so that you can easily compare the performance of your emails. More dashboards will follow. We understand the initial launch of the new Insight will include an exact “like-for-like” with the current Insight. While the presentation of the data will be different, you will be able to access the same reports you access today. The new Insight is not an update to the current reporting tool, it’s an entire new reporting platform built on Oracle BI (Business Intelligence). We don’t have much to share on this, but it seems to be a reasonably substantiated rumour based on some conversations we’ve had. We understand the new editors are being built from the ground up and will not replace the current editors, but will be in addition to them. As soon as we know more, we’ll pass on the details. This is not a rumour, it’s currently available as part of Oracle’s Controlled Availability program. If you’ve been using Eloqua for some time, perhaps you even used Eloqua 9. The Program “Canvas” is likely to replace the Program Builder over time. Many Eloqua users will have significant and complex Programs currently in place. We understand time will be provided for current Programs to be transferred to the new Program “Canvas”. Important: This feature is currently released under Oracle Marketing Cloud's Controlled Availability program. To request access to this feature, please click here log in to My Oracle Support and create a service request. Eloqua AppCloud framework: Run cloud apps within the Eloqua application. The following apps are available on Program Canvas: Contact Washing Machine, Form Submit Action, Oracle Sales Cloud, Oracle Service Cloud, WebEx, GoToWebinar, and LinkedIn SlideShare. Clean contact database: Maintain a clean database using a contact washing machine cloud app that can be applied to multiple workflows. Listener architecture pattern: The listener element triggers programs based on lead score changes, new contact creation, and form submissions. Update Rules: Move contacts through an existing rule set to modify the desired contact or custom object fields. This new Decision Step is something I have been wanting for some time. It’s functionality was previously the domain of the Program Builder. Essentially, the Compare Date decision step allows you to evaluate and route contacts on, before, or after a specific date, or during a period between two specified dates. It’s likely that in the process of building and executing an e.g. event registration campaign, you will want people to enter the campaign as their profile and Digital Body Langauge changes and they meet the segment filter criteria. This means you need to set the segment on the Campaign Canvas to add members regularly until the campaign is deactivated. However, your invitations may contain copy that is date sensative. For example, “You have two weeks to register this this event” or “Early bird pricing expires on X date”. This is where the new “Compare Date” Decision Step comes into play. In the screen shot above we’re checking the date directly after the campaign entry point i.e. the segment and before the first of two possible emails. The specific email that will be sent is determined by the date the contact enters the campaign. In this example, if it’s “after” 10am on the 3 October 2016, the contact will be directed to the second email “20160922 002…”. If the date for early bird pricing is only available within a certain period, generally the case, you can use the “between two specified dates“. You just need to think through this decision step in a very logical way to ensure you deliver the experience you want. We’ll keep you posted on any new enhancements as we hear about them.